Videogames, smartphones and tablets were supposed to kill off books. Young readers would no doubt abandon books for anything electronic. Browsing the Barnes & Noble in Santa Monica yesterday, I got a different view of the future. 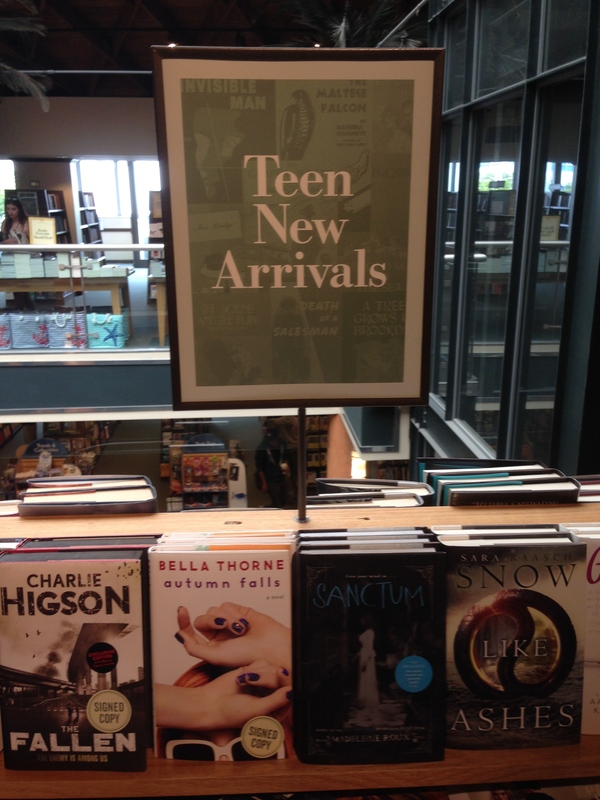 Teens and Young Adult readers now have their own tables and sections. Publishers have entire divisions dedicated to them. Kids today might be the most tech-savvy generation yet, but they apparently have a taste for a good old-fashioned story.